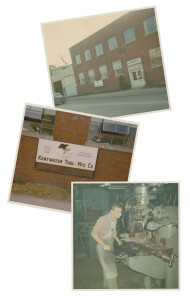 Kentwater Tool & Mfg. Co. was founded in 1964, by Frank, Jim, and Rick Marek. The three brothers pooled together their resources to purchase equipment and property in Kent County on the Grand River, hence “Kentwater” Tool was established. In the first months of business stamping dies were few and far between. When a tooling engineer approached the brothers about building trim dies, they decided to give it a try. Since that time, Kentwater has made thousands of trim dies as well as many other products such as custom machines, drill fixtures, CNC fixtures, weld fixtures, and outsource CNC machining. Our commitment to quality comes first, assuring our customers will receive a tool that will perform efficiently in the harshest of environments.